…with the right gear. 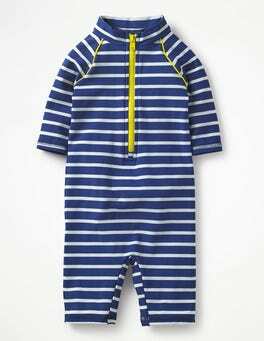 Our bathers are perfect for getting your future swim champion off on the right stroke. The bright and colourful prints will delight him (and you). 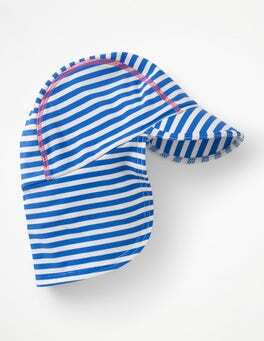 It comes with a nappy lining (so no little accidents in the pool) for babies up to 18-24 months and a mesh lining on the older ages. 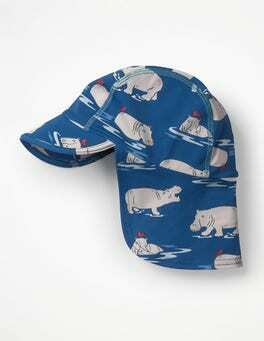 There’s no need to hide under a palm tree with our sweet surf hat. It’s crafted from comfortable UPF fabric, and that’s not all – we’ve added a longer part at the back to protect delicate necks. Combine with our matching rash vest and pants set for head-to-toe protection. Bucket and spade? Check. 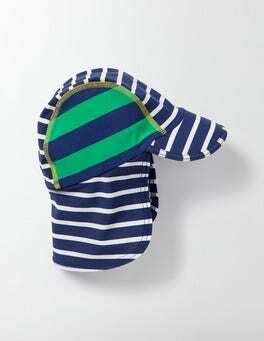 Swim hat for baby? Check. 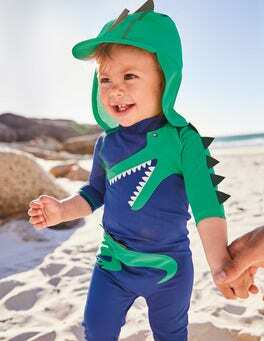 With UPF fabric and a longer part at the back to protect delicate necks from harmful rays, you and your baby can enjoy all kinds of seaside adventures. 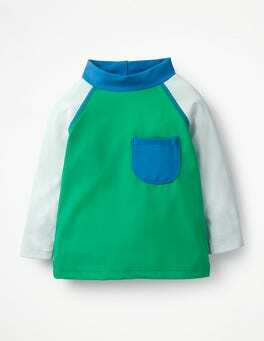 This rash vest and shorts set is an essential for little suitcases. It gives extra protection against the sun with long sleeves and UPF fabric. 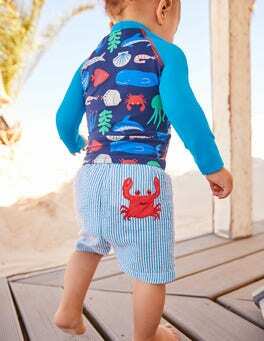 The shorts are lined and roomy enough for a swim nappy and the crab and fish prints are perfect for would-be fishermen. 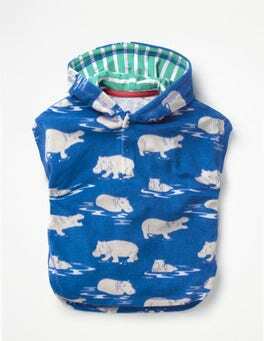 Bugs in rugs dream of being as snug as this romper. 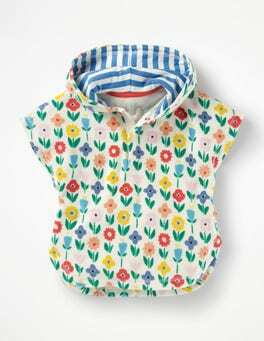 The supersoft ribbed fabric is crafted from premium 100% organically grown cotton, so it's gentle on the planet as well as delicate skin. The appliqué whale swimming on stripes adds a playful touch and the gold popper makes for easy dressing.